Two ESF scientists are part of a research team that recently discovered an unusual molecule that is produced in the oceans by planktonic microalgae and bacteria. Dr. David Kieber of the Department of Chemistry and Ph.D. student Liang Chen worked on the project with collaborators from the Friedrich-Schiller University Jena in Germany. Their study was published in the prestigious science journal Nature. The new molecule is produced in ocean waters that range from subtropical to polar. It is structurally related to the organic sulfur compound dimethylsulfoniopropionate (DMSP), a well-known antioxidant that is produced by marine algae in massive quantities - 2 billion tons annually - on a global scale. DMSP is ubiquitous in the surface oceans and has been studied intensively for more than 30 years because scientists believe it affects climate through the production of a volatile gas, dimethylsulfide. Kieber is interested in DMSP because it is a key compound in nearly all harmful marine algal blooms that plague coastal communities worldwide. It also plays a significant role in the occurrence of several large algal blooms in Antarctica, which he has studied in past projects. The newly discovered molecule, called dimethylsulfoxonium propionate (DMSOP), is present in marine algae that contain DMSP. But unlike DMSP, DMSOP has no known biological functions and is a member of a structural class of molecules that is virtually unknown in nature. 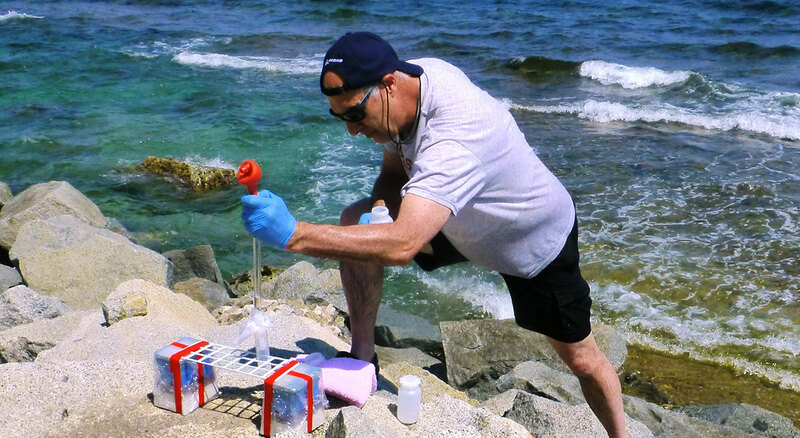 "Our findings highlight the importance of a previously unknown compound in the marine organosulfur cycle," Kieber said. "We are interested in this molecule because it may serve as a selective biomarker for antioxidant activity in marine algae, as a product formed through the reaction of DMSP with reactive oxygen species, also known as ROS." Antioxidants are present in all cells. Their role is to protect cells from cell-damaging ROS. Since there are multiple antioxidants found throughout the biosphere, the research team's findings suggest there might be more, yet-to-be-discovered biomarkers for antioxidant activity in other organisms, including humans.